ON Semiconductor has introduced Low Energy Switch reference design that operates entirely from harvested energy. The BLE-SWITCH001-GEVB is defining new levels of ultra-low power operation for IoT Applications. 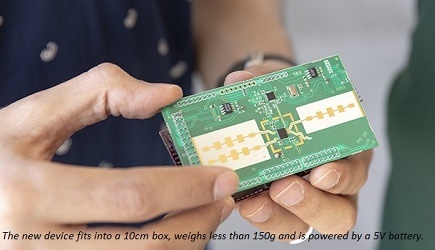 The platform demonstrates how the RSL10 System-in-Package (SIP) can enable Bluetooth 5 devices that are battery-less and entirely self-powered, requiring no additional energy source. Application examples include wall and lighting control, building automation, and asset tracking. ON Semiconductor is showcasing its latest products and innovations at Electronica 2018. Click here to see everything RF's coverage of Electronica 2018.